2. 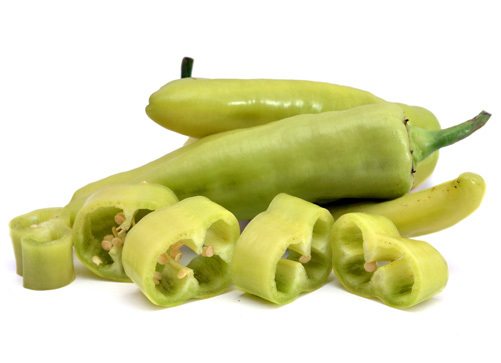 Wash peppers well and remove stem end; slice peppers into ¼-inch thick rings. 3. In a 4-quart Dutch oven or saucepan, combine the cider vinegar, water and salt; heat to boiling. 4. Place ½ tablespoon celery seed and 1 tablespoon mustard seed in the bottom of each clean, hot pint jar. Fill pepper rings into jars. 5. Cover pepper rings with boiling hot pickling liquid, leaving ½-inch headspace. 8. Shake jar to disperse spices before using contents.